During the last week or so, I've become enamored with the program Trillian. There aren't many that I get excited about but right now, this is it. I have about 6 different email accounts that I keep track of (one for the talkcast, one for the website, one for my bills, one for junk mail, one for an AOL account I don't use anymore and another junkmail account.) Usually, when I check my email (usually 4 different times a day), I am jumping in and out of accounts just to see if anything new is in there. Keeping track of passwords is a pain. Almost all of those email accounts have messenger programs (Yahoo and AOL) which I use very very sparingly. The reason for that is that whenever I seem to get talking with someone, I feel like I have all the time in the world to chat... I know that I don't. I haven't been doing half of the things here at that house that I should. Yes, I love talking to people but I keep thinking that I could spend 5 minutes on the phone for every 15 typing. 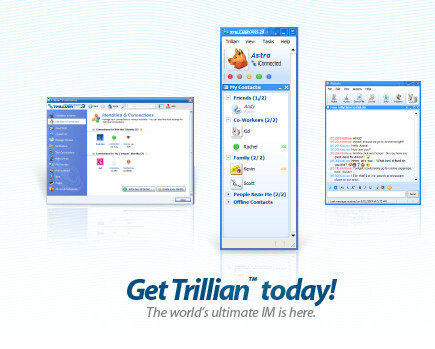 Anyhow, a while ago, I heard about Trillian. It sounds like a perfect program as it allows you to juggle multiple instant messaging accounts. It was after I started looking at it seriously that I remembered that I didn't want to be tied to my computer with IMs. So, I bypassed it. Until recently. You see, it also juggles your email accounts. So, here I am looking at my email addresses and when an email arrives, I'm notified as to what account it's at and can double-click the account to open it to check the mail. Yes, it's the free basic version and I'm sure the pro version probably has a lot more options but I'm just delighted with the functionality of the program. 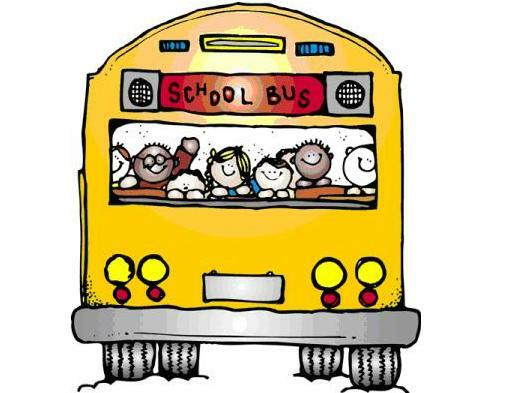 I am still not going to be going IM crazy but I may be enticed to type out a quick hi here or there. Ooooo I heard about this program awhile back as well, and promptly purged it for much the same reason... I have a couple of IM programs again lately so consolidation is attractive. I'll have to check it out, thanks for the reminder! Correction, I have a couple of IM programs *open* again lately. A friend turned me onto this a couple of years ago. Although I personally don't do a lot of IM'ing these days my kids use it all the time. It also keeps a log of your IM's. I use my gmail to read my multiple mail accounts. Although I can't read Yahoo in it, but that is mostly junk mail anyway. I only have 3 email accounts that are easy for me to manage. If I did more, this would be something I would use.